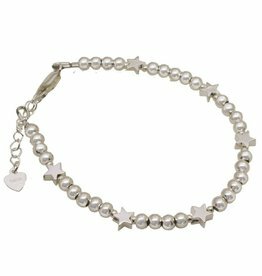 silver ladies bracelets, a beautiful and personal gift! 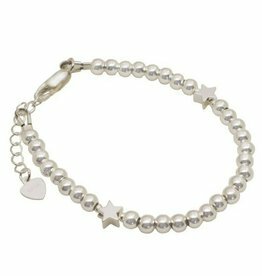 KAYA designs (.925) silver women's bracelet with genuine freshwater pearls, crystal and gemstones. Ideal as a gift for the most beautiful woman ... or for yourself! Make it personal! 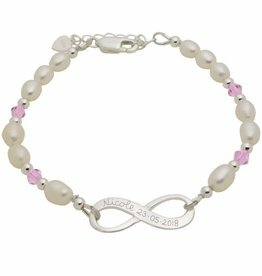 These ladies bracelet with sparkling gems will fix a special place in her jewelry box. The initial is decorated with glittering rhinestones that sparkle when light falls on them! The bracelets are made with pure (.925) sterling silver parts, from clasp, beaded, extension chain to beg. Thus, anti-allergenic and forever beautiful. ♥ The beads are all hand knotted on extra strong double silk thread. Firm so huge, yet with a very smooth fit. ♥ With extension chain for a good fit. 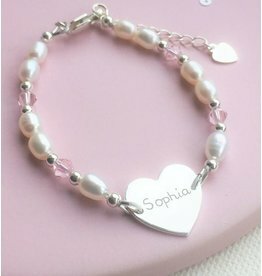 Surprise your mother, daughter or bff with this beautiful slave bracelet with the text 'I love you to the moon and back'. 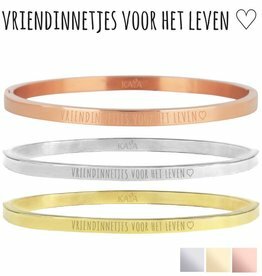 Make the bangle extra personal by adding an inside engraving. A special gift for every woman! 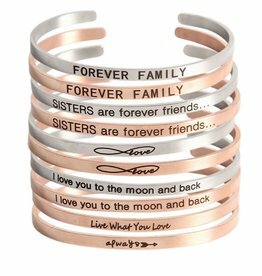 Inspirational quote bracelet with the text: I love you to the moon and back '. 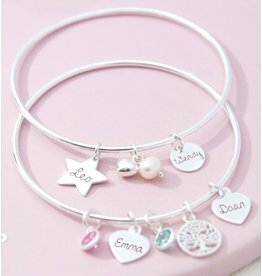 Extra special: engrave on the inside child names, birth dates or a sweet saying of your choice. Simple and trendy model that finishes every outfit. 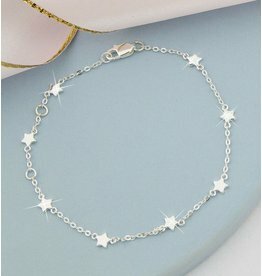 Gorgeous .925 silver bracelet with a silver engraved charm to it. 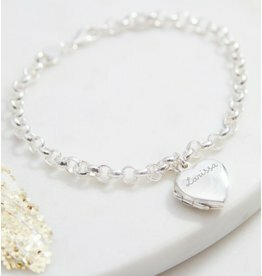 On the front we engrave a name, date or word choice. At the back there are many beautiful texts (or a letter) to choose from. packaged luxury!